• Surfers Against Sewage (SAS) is calling on volunteers to take direct action to tackle plastic pollution on all beaches and rivers nationwide. • 20,000 volunteers will remove over 100,000 sacks of plastic pollution from beaches and waterways this April. Find your nearest event at www.sas.org.uk. • Volunteers will be asked to ‘record and share’ the vast number of ‘avoidable’ throwaway plastic items they find on social media in a mass ‘citizen science’ evidence gathering effort. • Surfers Against Sewage will submit ‘avoidable’ and ‘single-use’ plastic pollution evidence to Treasury consultation on plastics & taxes. 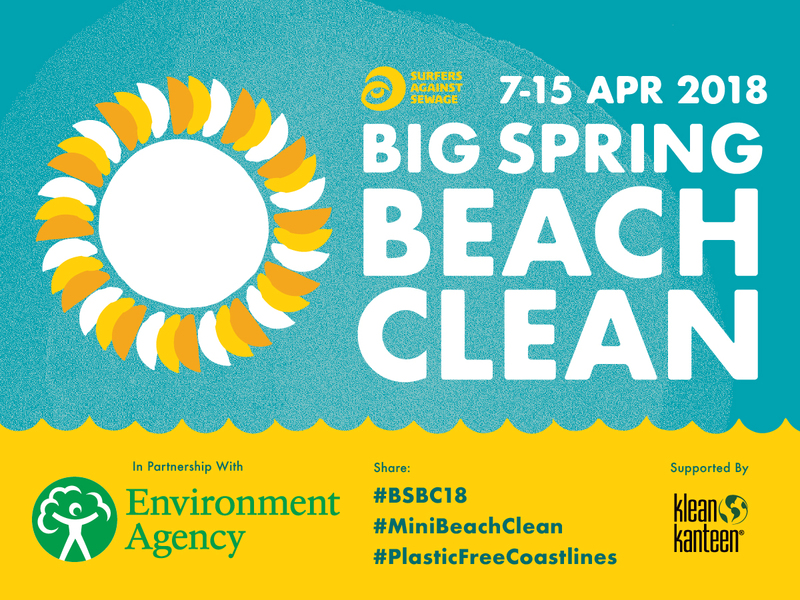 • SAS urge people to take on the vital role of Big Spring Beach Clean Leaders and register their favourite beach at beachcleans@sas.org.uk. LONDON, Tuesday 13 February: Environmental charity Surfers Against Sewage (SAS) have launched their annual Big Spring Beach Clean campaign, urging the public to take action to tackle plastic pollution from source to sea. Already the single biggest community beach clean activation in the UK, the Big Spring Beach Clean engages 20,000 participants annually who, this year, will also be called upon to document and report ‘avoidable plastics’ that they find around the coastline in a mass ‘citizen science’ action. 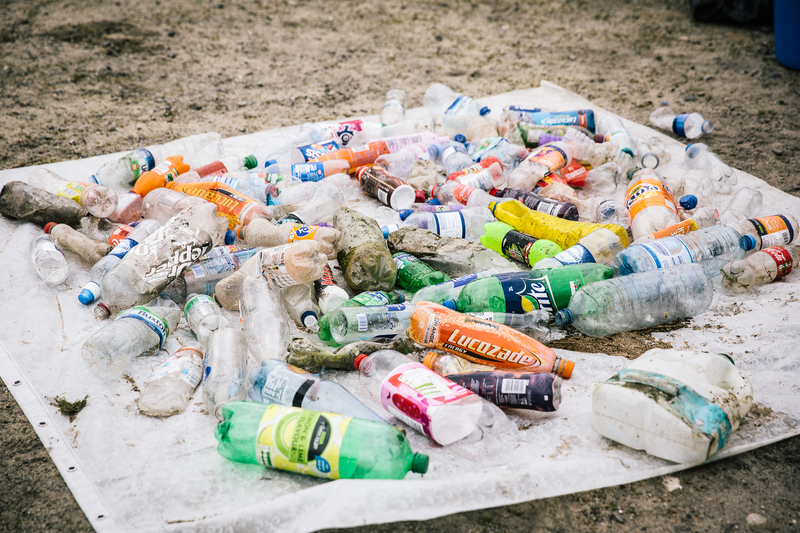 The Big Spring Beach Clean will urge individuals and communities to target ‘avoidable plastics’, helping volunteers to document single-use plastics found on the tideline including cutlery, straws and stirrers, plastic drinks bottles, coffee cups and condiment sachets. Participants will be encouraged to use social media to share images of these items using the hashtag #AvoidablePlastics and #PlasticFreeCoastlines. This evidence will be used to support upstream solutions to preventing plastic waste as the Government considers taxing avoidable and single-use plastics. In the last decade, Surfers Against Sewage’s Big Spring Beach Clean has grown into one of the biggest gatherings of environmental volunteers in the world, visiting over 1,200 beaches and removing millions of pieces of plastic from the marine environment. This huge volunteer effort reflects the recent explosion of awareness and action around the issue of ocean plastic pollution that was powerfully demonstrated by the recent Blue Planet II series. Nicknamed the ’Attenborough Effect’, the series shone an all-encompassing light on the threat that plastic poses to our oceans, leading to a wave of new engagement that can be traced back to ripples generated almost 10 years ago by those pioneer beach clean communities, many of whom are still active with SAS. Surfers Against Sewage’ Head of Community and Engagement, Dom Ferris said: “We know that up to 13 million tonnes of plastic enter our oceans every year. We know that millions of animals are dying because of this. We know that plastic is literally suffocating our oceans. Yet, despite this, there is hope and nowhere can that be better felt than on our beaches each spring amongst the tens of thousands of people who have donated their precious time to protect what they love. Surfers Against Sewage and their volunteers also recognise the importance of working ‘beyond the beach clean’ and they are proud to be working with the Environment Agency to promote the Big Spring Beach Clean, as they focus on innovative solutions to tackle single-use plastic pollution in the wider environment. Register your favourite beach or waterway with SAS at beachcleans@sas.org.uk and receive a limited edition stainless steel ‘Beach Clean Leader Beaker’ from Big Spring Beach Clean sponsors Klean Kanteen. To find your nearest Big Spring Beach Clean event head to the SAS ‘Regions and Events’ page at www.sas.org.uk or email beachcleans@sas.org.uk.